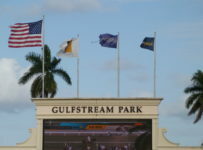 Gulfstream Park will resume racing on Thursday with a nine-race card and first post of 1:15 p.m. The first race has a carryover of $10,396 on its Rolling Super Hi-5. 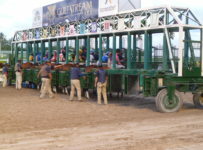 The carryover is $49,813 on the Rainbow 6, on races four through nine. The featured seventh race is an allowance/optional claimer, with a $43,000 purse, at one mile on turf for 3-year-olds and up. The claiming price is $25,000. Five races (the odd-numbered ones) are on turf—all with the rail at 48 feet. 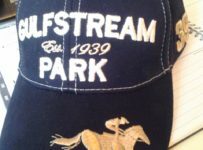 For the second straight week, Gulfstream is refurbishing and not having races on the inner part of its wide turf course. 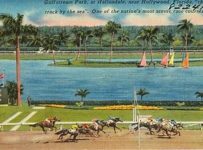 According to the Weather Channel there is a 25 percent chance of rain during racing hours in Hallandale Beach where Gulfstream is located. We will have updates on our blog. 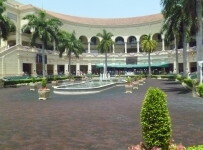 The first race is a $12,500 maiden claimer at one mile on turf for fillies and mares 3-years-old and up. It has a $15,000 purse and eight entrants. 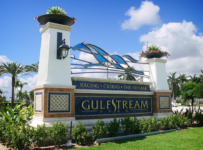 Bettors have had three days to handicap that race, and based on recent betting patterns on Gulfstream races it could attract between $30,000 and $50,000 in new Super Hi-5 bets. 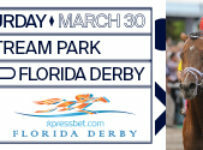 The first race has a Super Hi-5 carryover because there were no winning tickets on the bet in any of Sunday’s last four races. 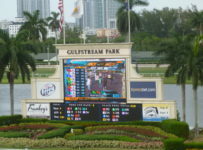 It is a $1 minimum bet with no consolation payouts such as four-of-five. 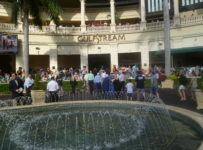 If there are no winning tickets, the race’s Super Hi-5 pool (minus 17 percent takeout) and any carryover roll over to the next race with seven or more starters. 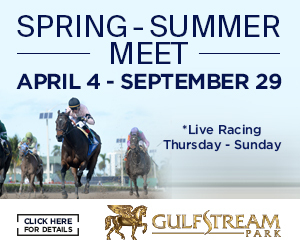 In the first race My Gal Lollipop and Saratoga Ransom are the likely favorites, In their last starts they finished third and second, respectively, in $12,500 claiming races on turf at Gulfstream. Many bettors will have them in the first and second holes in the Super Hi-5. 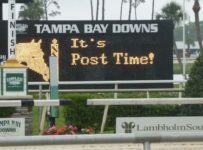 Finding a different horse that could finish second or even win could result in a big payoff. Two to consider are Mimily and Perfectress, who also have been running at the $12,500 level. 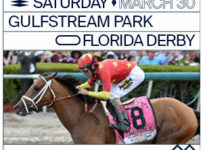 Mimily finished a late-running third in her most recent Gulfstream turf start. 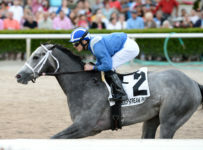 Perfectress finished fourth in her last two turf starts and might try to take the field gate-to-wire. 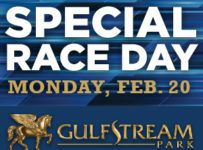 During the afternoon, we will preview the seventh race on our blog.